Clarksville, TN is a modern, booming city with a charming small-town feel. 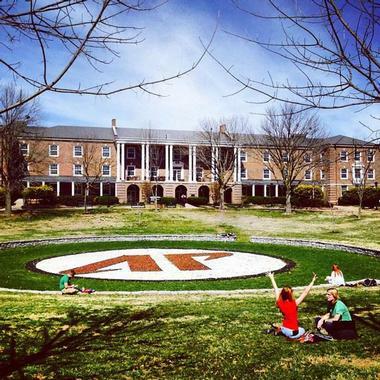 It is also a lively university city and a beautiful place on the tree-lined shady Cumberland River famous for its annual River Fest. 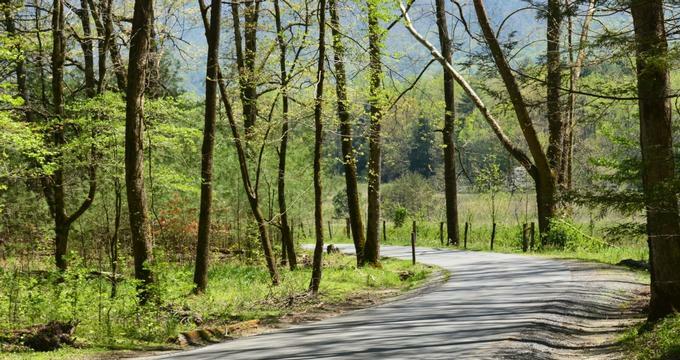 History buffs enjoy the feel of the past at the Fort Defiance Civil War Park, and art lovers are thrilled by a fascinating self-guided monthly art tour called First Thursday Art Walk. Liberty Park and Clarksville Marina is the place where local residents go to play on the water, while McGregor Park is great place to launch a boat for a pleasant cruise on the Cumberland River. Clarksville Greenway is a wide asphalt trail near Clarksville that is nine miles long both ways. It is mostly flat, with two hills towards the end that make it a bit more strenuous. 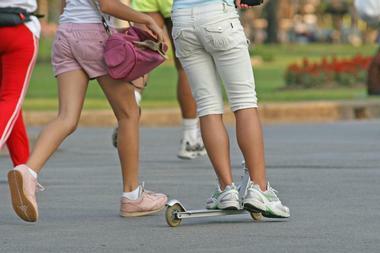 It is very popular with families, bikers, hikers, and inline skaters. The trail runs through an old rail bed north of Clarksville along a creek, with tall mature trees offering a good amount of shade. There are benches along the trail as well as several lookouts. Besides providing enjoyment to the local population, the greenway provides a buffer for the Red River and the stream running alongside. 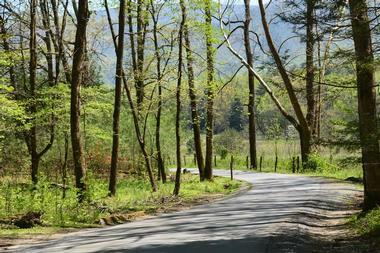 There are two trailheads: one at the water treatment plant and the other on Marys Oak Drive. 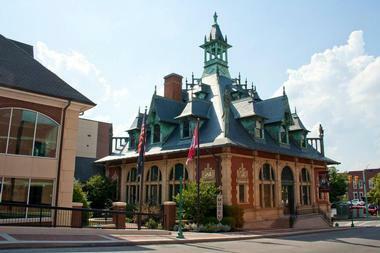 Located in downtown Clarksville, the Customs House Museum and Cultural Center is one of Tennessee's largest museums of general interest. The museum features permanent as well as rotating art, history, and science exhibitions for all ages. There is also an interactive children’s exhibit. The museum is located in the former Federal Post Office and Custom House built in 1898 and has an interesting mix of styles: Italianate, Queen Anne, Flemish, Gothic, and Romanesque. It became a museum in 1983, collecting, preserving, and interpreting Clarksville’s community culture and past. Some of the most popular permanent exhibitions are The Explorers' Gallery, Memory Lane, displays about the American expansion into Tennessee, and Becoming Clarksville: Honoring Legacies of Leadership about people who shaped Clarksville’s history. Beachaven Vineyards and Winery is a pleasant surprise for wine lovers who aren’t expecting vineyards in this part of Tennessee. Located a few miles from Clarksville on soft rolling hills, the vineyard features line after line of orderly vines. Take a stroll among the thriving plants before going into the wine tasting bar for a taste. This 30-year-old winery grows most of its grapes and has won a number of awards for their Classic White, Budbreak Blush, Barrelhead Red, and others. The tours of the vineyards and tasting at the bar are all free and are conducted daily. Lovely grounds have picnic tables scattered around and are packed during the winery’s Jazz on the Lawn evening concerts. There is also a nice little gift shop where you can buy a bottle or two for later or a gift for other wine lovers in your family. Blackhorse Pub was a popular Clarkswille watering hole for a long time before the owners decided to try their hand at making their own brew for limited distribution. Twenty years later, they have two breweries. One is in Knoksville, where they make cans and bomber bottles of their popular Blackhorse IPA, Vanilla Cream Ale, and other beers. The other is in Clarksville, where they have barrel-aging program with popular Barrel Aged Southern Imperial Stout and other brews. They offer all their popular as well as seasonal and new beers in the pub located above the Brewery in Clarksville. You’ll find steaks, pastas, gourmet pizzas, and other popular pub grub as well as live music, a pool table, and an overall great atmosphere. D&D Mini Golf is a popular Clarksville family entertainment venue featuring something for everyone: mini golf, the latest arcade games, and much more. The family-owned 18-hole indoor miniature golf course is manually constructed and hand-painted by famous muralist Todd Lindbergh. The theme of the course is Fantasy Forest, with characters such as elves, gnomes, tree men, and unicorns. Black lights that light the course make all the colors vibrant. Each guest gets 3D glasses for increased depth perception. The arcade has air hockey, basketball, Pac-Man, racing, and much else. D&D is great place for parties and big events. The Downtown Artists Co-op or DAC is a Clarksville association of local artists and art patrons with a common goal of promoting the visual arts in the area. The main objectives are to sponsor regular art exhibitions of artwork by the members of the Co-op and local artists, to support the Co-op’s members by selling their artwork, and to encourage arts education by providing outreach programs and scholarship fundraisers. One of the most popular activities is Art Walk, an exhibition organized the first Thursday of every month. DAC also offers workshops, storytelling, and other events for the kids. Dunbar Cave State Park is a 110-acre park located about a mile and a half from Clarksville, Tennessee and one hour from Nashville. The main attraction of the park is Dunbar Cave, the largest in Montgomery County. It is more than eight miles in length and goes 8,067 miles inward. The cave’s spacious mouth used to be a popular venue for radio shows, concerts, and square dancing. Prehistoric man used the cave for thousands of years to cool off on hot days (the temperature inside is consistently 58 degrees) and possibly for religious ceremonies, as attested by drawings on the walls. 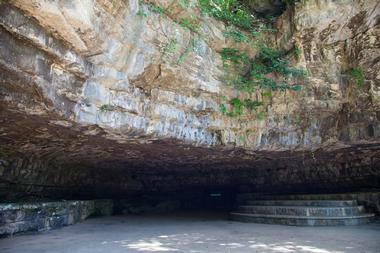 The cooler temperatures were originally the reason for the cave’s popularity during hot summers. Besides visiting the caves, the park is a lovely spot for long walks, with many trails and gorgeous cool Swan Lake, fed by a cold stream coming from the cave. The tours of the cave are available between May and August. Fort Defiance was a fort built on the hill during the Civil War above the spot where the Cumberland and Red Rivers meet. The fort was built by Confederate troops to defend the approach to Clarksville by the river. But, the hilltop on which the fort was built was in use centuries before, first by Native Americans and later by white settlers as a trading post. 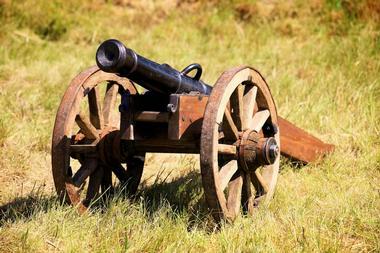 Extremely well preserved, Fort Defiance, with a powder magazine, the earthworks, and gun platforms, is a popular place to visit to get the glimpse into the past. There is a new Interpretative Center with interesting exhibits on the fort’s past, a gift shop, miles of walking trails, and picnic tables. The center offers free tours of the fort and popular field trips. Kids-N-Play is a popular indoor entertainment center where Clarksville’s kids from 1 to 12 years of age can play all kinds of games in a safe, clean, and fun environment. Parents have a lot of fun too. There is an enclosed crawler area designed for children two years old or younger, with shapes and colors that encourage them to develop new skills. The kid-size town is designed for children seven years old or younger and includes a pretend but realistic diner, grocery store, animal hospital, fire station, playhouse, baby nursery, beauty salon, playhouse, and dress-up area, perfect for role playing and socializing. There are also several fun slides, tunnels, bridges, and crawls to spend some energy. A three-rail track that goes around the perimeter is designed for kids age seven and older, while bigger kids can play with the cannon blaster foam ball shooter and bungee trampoline. No wonder parents get caught up in all the fun. For a place to celebrate kids’ birthday party, there is no better venue in Clarksville. Liberty Park is the place where Clarksville locals go if they enjoy boating activities or just hanging out on the water. The new park transformed the riverbanks of the Red and Cumberland Rivers and made the area the most popular outdoor destination. Besides the marina, the park has a boat launch, several athletic fields, event pavilions, kids’ playgrounds, an outdoor amphitheater, and miles of hiking trails. The fishing pond is everyone’s favorite for fishing, boating, or just enjoying the serene view of the water and native plants growing around. There is also a small dog park; nobody is neglected in the Liberty Park. Mabel Larson Fine Arts Gallery is located in an alcove on the third floor of the Morgan University Center in Harned Hall on the Austin Peay State University campus. The gallery showcases artworks from the University's permanent art collection, which features works by William Edmondson, Enoch Tanner Wickham, Inez Nathaniel, and Bill Traylor, as well as forty pieces of Outsider/Folk Art recently donated by Jacqueline and Ned Crouch. The gallery also offers its space for the works of the students of the University’s Art School and has frequent students’ art exhibitions. McGregor Park is 15-acre park in Clarksville’s with a two-mile long promenade stretching along Cumberland River. It is a popular outdoor venue with a one-mile long hiking trail, a number of benches lining up the riverbank, several picnic areas, a kids’ playground, and a concert open area. 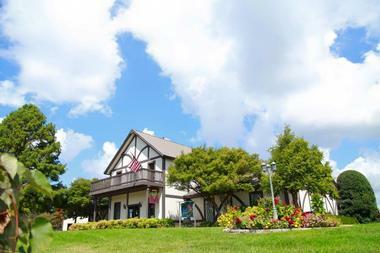 The museum As the River Flows features exhibits about the history of Clarksville River. There are also swimming pools and a boating dock, which is for loading only; fishing, swimming, or any other activities on the dock are not allowed. McGregor Park is a popular venue for concerts and art exhibits during the summer. 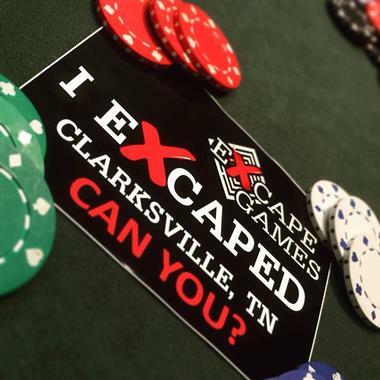 Escape Games Clarksville is the city’s first venue for this challenging adventure game that is taking the world by the storm. You are locked in a room with a team, and you have to use your brains and teamwork to solve a puzzle or crime or to simply find a way to escape before the time runs out. You have one hour to find a solution based on clues provided. The games currently played in Clarksville are House of Mystery (solving a murder), Jail Break (attempting to escape from a jail), Taken (running away from the KGB), and Outbreak (saving humanity from a deadly outbreak). The games are recommended for everyone over the age of 12. If it gets scary, there is a panic button.